Even just a single missing tooth can create a range of issues—from chewing and speaking problems to its effect on smile aesthetics. In addition, a missing tooth can lead to bone loss in the jaw, which can exacerbate concerns related to oral health, dental function, and the appearance of your smile. 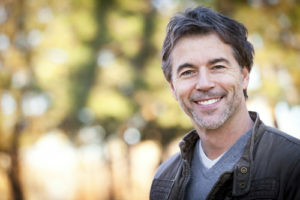 Fortunately, there are many advanced tooth replacement options that can address these concerns and restore the teeth with results that look, function, and feel like they were never lost in the first place. Dr. Sameet Sheth is not only an experienced dentist, he is also a board-certified prosthodontist. This field of dentistry involves a special focus on restoring damaged or missing teeth. With state-of-the-art techniques, Dr. Sheth can provide exemplary tooth replacement that can have a positive effect on your livelihood. A dental implant essentially serves as a full artificial tooth, right down to the root. A titanium post is anchored to the jawbone in the area where the tooth is missing, where it should fuse to the bone over time. 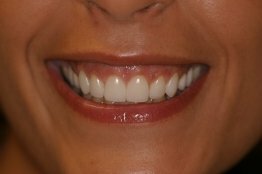 A custom dental crown is then securely affixed to the top of the implant post. Dental implants are designed to function and appear like natural teeth, without the potential for slipping or moving along the gums. Dental implants can be used for a single tooth, several teeth, or even full rows of missing teeth on the upper or lower dental arch. Also known as implant-supported dentures or implant-anchored dentures, implant dentures combine the benefits of dental implants and custom dentures for comprehensive teeth replacement. 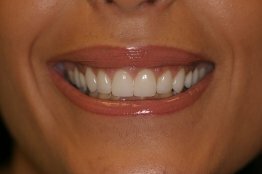 This option can be advantageous for patients who may not be candidates for full dental implant placement to address a large number of missing teeth. By securing custom dentures with a select number of dental implants, patients can replace missing teeth with a more stable foundation and significantly reduce the risk that an ill-fitting denture may slip along the gumline. Denture prostheses have come a long way over the years, and can be an excellent option for individuals who may need an alternative to dental implants for effective teeth replacement. Customized partial dentures can be useful for patients who are missing several teeth in a particular area of the mouth, while complete dentures can help those who need replacement of all teeth on the upper and/or lower arch. Dr. Sheth can develop complete or partial dentures that offer the best fit and comfort possible. Dr. Sheth’s expertise in the field of prosthodontics allows him to provide comprehensive teeth replacement procedures, as well as treatments that can help patients restore bone and facial structure. Bone restoration procedures can help individuals who may have been previously told they were not candidates for options such as dental implants. With effective treatment, these patients may ultimately qualify. If you have questions about our tooth replacement options, or if you would like to schedule a consultation, please contact our practice today.